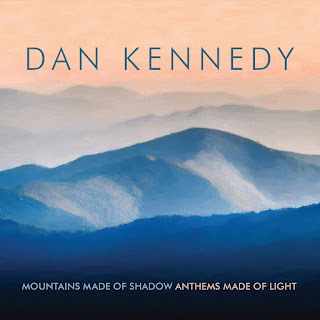 The forthcoming Dan Kennedy album carries with it a very descriptive title. That is one of the many factors that attracts me to this kind of music. A thought provoking title is a good way to start things off. 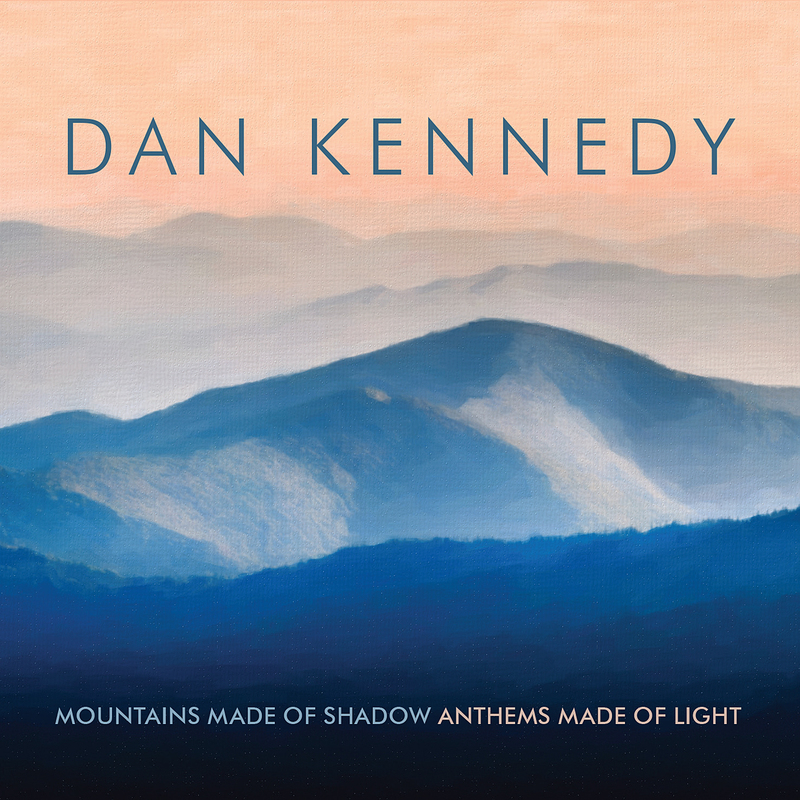 Mountains Made of Shadow Anthems Made of Light is very reflective title for a recording. It is Dan’s fourth proper album. And it is a solo album, you get nothing but the artist and his piano. Simplicity rules the day on any occasion for my ears. I don’t have to be in a certain mood to enjoy this music, it always soothes me and comforts me regardless of when I am listening. Speaking of simplicity, just look at the album cover. It does not get more explanatory than what you see here. The title is in sync with the colors and picturesque mountain range and orange skyline. Dan’s piano helps to paint that picture in your mind’s eye and perhaps a bit more. That of course is all dependent on each individual listener, and that my music loving friends is a beautiful thing. The silence of a singular instrument invites a serenity and peacefulness. As Dan’s piano leads you through his journey full of nature and its colors, you become enthralled within the 12 tracks offered. Nearly every track gives you time to absorb the emotion and atmospheres, all within a 4 to 5-minute time span. That is just right for my attention span and purposes of a thought process. It is like I am being plugged into a socket in the heavens where I can focus on what is really important in life. I am to the point with my take on this type music, that I would rather not take out the reviewer’s scissors (which is applicable most of the time) and slice it up and piece it together in various ways. By doing that I usually choose 3 or 4 tracks to focus on as high points during the listen. 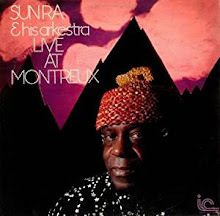 I prefer to look at the instrumental albums as a complete work of art. Although each track is dissimilar, I find it more fully realized for someone that has not heard the music yet. This way they can get an understanding of how it all made me feel. It is more personal that way. Mountains Made of Shadow Anthems Made of Light is an entity, a projection of another person’s soul to reflect off yours. The artist has a mirror to look into which is the instrument they are playing. The music is our mirror as we are the recipients of those sounds and vibrations created with that musical brush. This is my process and you as the potential listener, will find yours waiting inside the music. Open it up like it was your birthday or Christmas and enjoy!